Summer is one of my favorite seasons. The days are long and warm, and the nights are cool and comfortable. I like to call it “patio season” because, more often than not, my husband and I will be relaxing outside with dinner and drinks. Grilling is a must when you’re outside enjoying “patio season,” and we do it at least three times a week; sometimes more! Along with our grilled main dish, we also like to have a cold side dish to go with it. This Creamy Southwest Vegetarian Pasta Salad is one of our favorites! 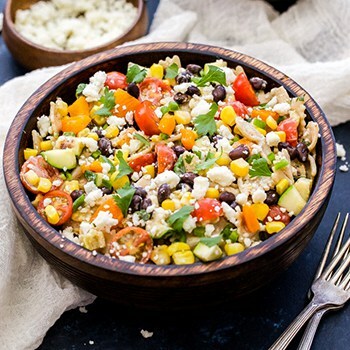 To keep the pasta salad light, but still loaded with all the Southwest flavor we love, I swap out mayonnaise and sour cream and use plain non-fat Greek yogurt instead. Greek yogurt is one of my favorite healthy substitutions. It’s loaded with protein to help keep you full longer and it contains dairy’s nine essential nutrients. 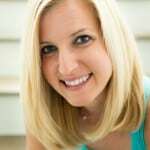 The pasta salad is packed with veggies, which can be added in raw or you can grill them for a little extra flavor. I’ve done it both ways, but, if you have the time, I highly recommend trying them grilled. 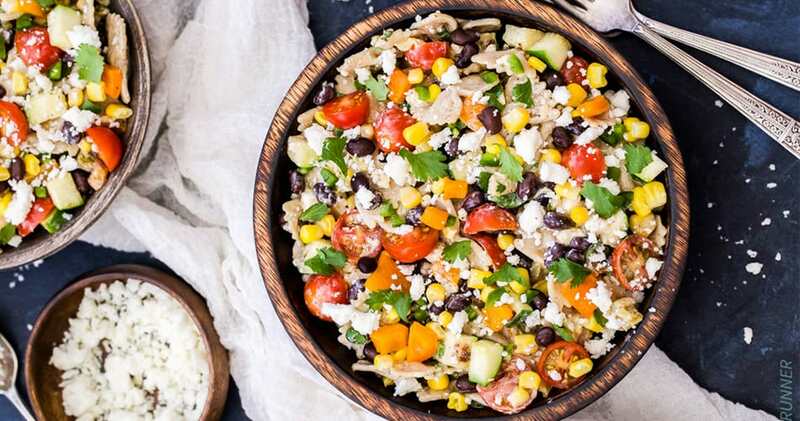 The finishing flavors added to this vegetarian pasta salad are fresh cilantro and queso fresco cheese. If you’ve never tried queso fresco, it’s a crumbly, salty, Mexican cheese that goes perfectly with the creaminess of the Greek yogurt dressing. Enjoy all the benefits of dairy in a lighter, but still delicious, way this “patio season”! Cook the pasta according to package instructions. Drain and rinse the pasta under cold water and set aside in a large serving bowl. In a small bowl, whisk together all of the ingredients for the dressing. Taste for seasoning and refrigerate until ready to use. Prep all of the vegetables, add them to the pasta along with the beans and corn then stir together. Pour the dressing over the salad and add in the queso fresco and cilantro. Stir everything together until coated and taste for seasoning. Serve immediately or cover and refrigerate until ready to serve.